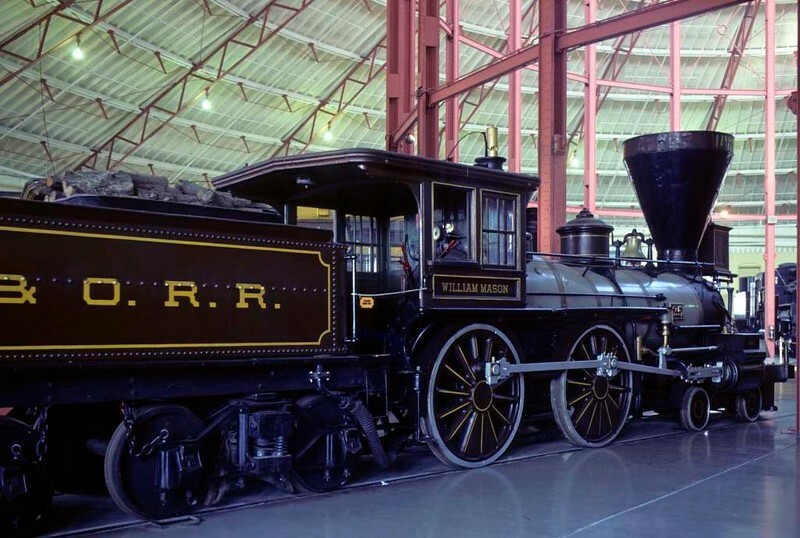 Baltimore & Ohio RR No 25 William Mason, Baltimore & Ohio Railroad Museum, Baltimore, Maryland, August 1979. 4-4-0 built in 1856 by Mason Machine Works for the B & O. Named for its builder in 1927. Steamed by the museum 2004 - 2014, and claimed to tbe oldest operational loco in the world after the Indian duo Fairy Queen and Express, both built in 1855. See my photos of Express at work at Chennai in 2012. Photo by Les Tindall.